Back in April, Stewart Priest from Glasgow got in touch with me about an idea he’d had. I’m the Chief Engineer for Radio Lollipop in Glasgow. 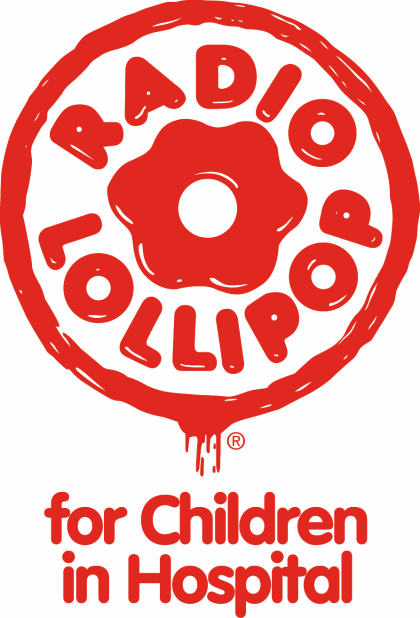 Radio Lollipop is a charity whose volunteers provide care, comfort, play and entertainment to children in hospital. We’re primarily a play service for inpatients in children’s hospitals, but as our name suggests, we also provide a radio service. I’m currently having problems getting our signal to the oncology ward playroom – it’s the only area in the ward which can’t get our signal, so I got the OK from the hospital IT department (it’s handy that I work there!) to stream via their wifi infrastructure. Unfortunately though, the level of encryption they use (WPA2-Enterprise/PEAP, if you’re wondering!) isn’t supported by ANY off-the-shelf wifi radio currently available on the market. I’m also hopeful of being able to produce a radio case in a small run for other people to use in their radio projects which could then be sold and raise a little extra cash for Radio Lollipop – we are entirely run by volunteers and get no funding from the NHS or charitable trusts connected to the hospitals we work in. He’s just finished doing exactly that. 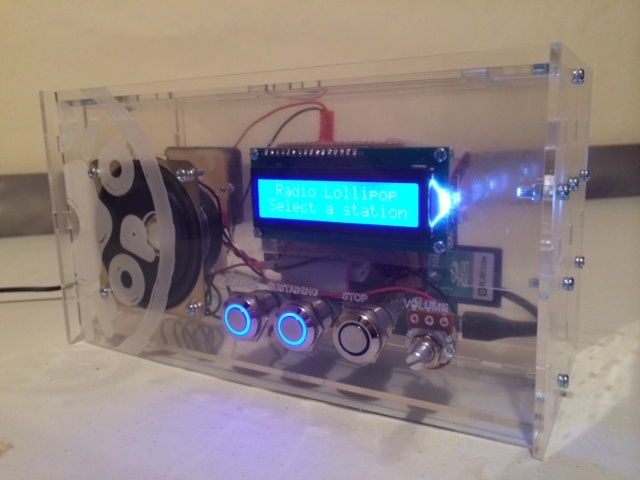 And here it is: the first working prototype of the Radio Lollipop Pi-powered radio in a box. Cute, isn’t it? In the meantime, if you’d like to donate to Radio Lollipop – they’re entirely reliant on your donations for the important service they provide in hospitals across the world – you can do so here, or click on the image above. They provide much more than a radio station, with volunteers who visit the bedside to play games, chat, run art projects and much more. Please donate if you can. 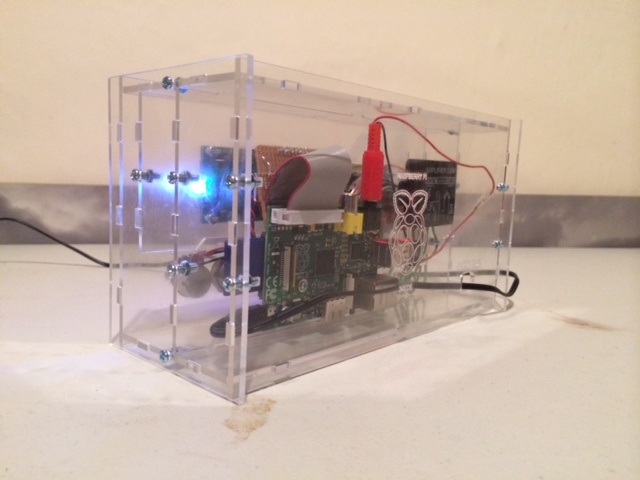 Fantastic project and a brilliant use of a raspberry pi. Plus I have to ask…. 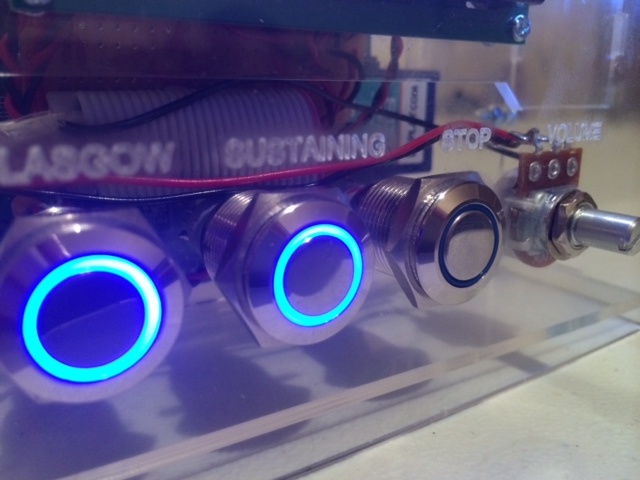 Where did you get the buttons with the glowing led ring? They are brilliant. How would you go about using these buttons with the Pi? I’m in need of finishing off a project and those buttons would be perfect! It’s pretty easy – the way I have it set up is to have the “switch” part of the button going to an input pin on the GPIO and another going to the 5v pin. There are, of course pins on the button which need to be grounded too. It’s very simple. Thanks Martin, it’s been fun to make! We’re currently working out whether we can produce these in a way which is cost effective. Drop me an email at stewart.priest(at)radiolollipop.org and I’ll keep you in touch with when the cases become available! As long as you release it all to the public preferably via the PI Foundation I will do you a professional PCB layout. Thanks for the offer, Frank – I’m already talking with Jon at Pimoroni, but if we take this further, I’ll be in touch! Very cool, really wish you would release specs. I’d love to build one. seems like a get little project. I’m working with Pimoroni to get a kit out there. Drop me an email (see comment 3 for the address) and I’ll let you know when its available! Another option would be to use t a USB to FM transmitter on the PI and re-transmit via FM your station in the ward where the signal was weak. Then you don’t need a PI for each patient, just a FM radio. Unfortunatly, UK licensing laws forbid any broadcasting on unlicensed frequencies..
How do you normally broadcast? I was imagining a transmitter of some kind which would also need to be licensed, or can you get around the requirements by keeping the signal in the building somehow? It’s a closed-circuit cabling system. Basically, a big loop of wire running from the studio to every speaker in the hospital. My 6 y.o. was just in Hospital in New Zealand for a week for hip surgery. We were just outside the Oncology Ward, and also saw the Radio Lollypop flyers on the notice board. Next thing I know I’m seeing it on the RaspPi blog! If you ever do get a kit together, I’ll acquire one for the local hospital…. I hope your kid’s recovering well! Lovely to hear from someone who’s come across Radio Lollipop in the wild! £5 coming your way. But when redirected from from paypal back to your site I get an error about no recipient. Thanks for letting me know Karl, and thanks for your donation. I’ll forward this on to our web guy and ask him to look into it. Great job on this, very clean look. I hope you get this project off the ground. Have you thought of doing something like a kickstart or indigogo to raise funding for this project? Maybe a perk could be a radio case, with enough funds to donate one as well. If it cost $20 to produce charge $40 with the stipulation that one will be donated. Anyway, great job. Thanks for the suggestion Ken. I’m currently kicking ideas around with Pimoroni on this one!